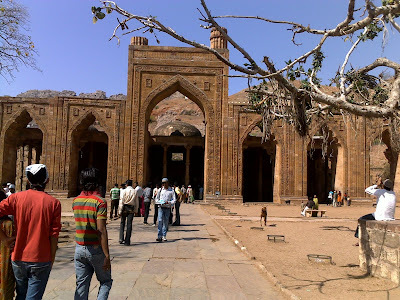 This monument is a couple of hundred metres away from Ajmer Sharif. Local autowallahs, if you have hired one, may try their best to deter you from going there. They go to the extent of telling you that it is just one building. But that is only to convince you to hire the auto for the complete to and fro trip. The jhonpra is worth seeing. So don't be deterred. Go for it.